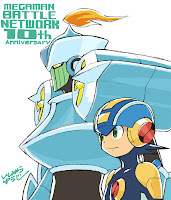 A short while back, Capcom Unity asked fans to submit any and all questions they might have for the Mega Man Battle Network development team as a means to commemorate the series' 10th anniversary. Though it took a little while, Capcom has revealed select answers from series artist Yuji Ishuhara and series scenario planner Masakazu Eguchi. A portion of the article below! Q: (AkuKnives) Ooooh, I have a question! The Battle Network Series was of course, highly focused on the internet, but the games themselves weren't really capable of going online. Now that wifi is something that is widely available as opposed to 10 years ago, even our handheld consoles can go online. Were there any directions you would've liked to take the series, but couldn't due to the technology at the time, that you could perhaps do now? With applications like FourSquare and Facebook check-ins using location data, an Online Battle System could also use location information in interesting ways to automatically generate some pretty interesting online battle environments. Any thoughts? A: (Eguchi) We did have Wi-Fi battles in Mega Man Starforce, but it is something we had always wanted to do with Battle Network as well. We also had some other ideas, like an online MMO where people’s Navis could commune. I also used to dream of having a real-life Navi like Mega Man in Battle Network, that people could really communicate with. All sorts of other neat tidbits can be found at the complete article here. Unfortunately, not all of the questions could be tackled-- there simply wasn't enough time. Nevertheless, congratulations to those who had their questions answered! Haven't been able to read the interview yet, but man - a Battle Network MMO. I'm sure half the people who played the series has had that idea for the game since the start. Ooh, they would continue the series if they could, and if they did, it would be an evolution of the series. I love Rock's design in the EXE series. 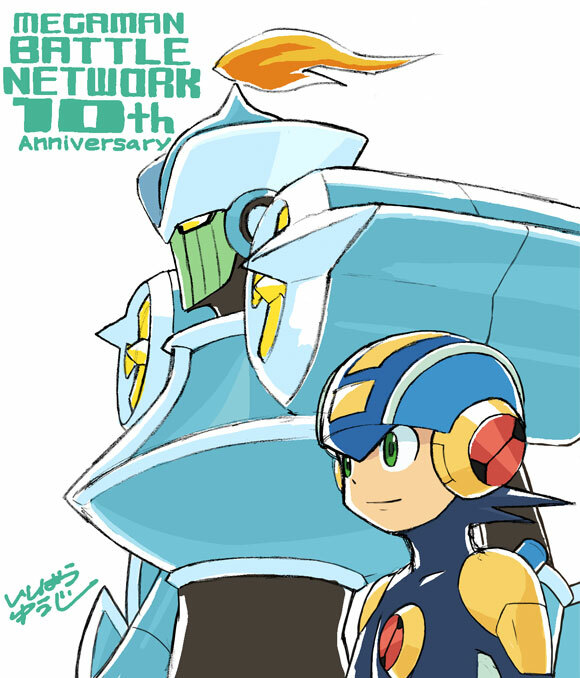 Its funny because there is fianlly a Megaman MMO coming (the Korean one) and it isn't Battle Network. I found it funny that they would like to continue the series, even though they originally meant to end it after #3 (according to the article). I like that they gave the series a proper ending, myself. But one thing I wouldn't mind is a collection for 3DS, with wifi battling throughout. I'm a bit sad there wasn't a question about that in the article. Q: (Suraida-chan) Even with the ending at MMBN6, did you guys still wish you could continue on with the series? After all there's still plenty of Robot Masters that have yet to have navi versions. A: (Eguchi) Of course I wish we could continue! Of course, if we ever do have the opportunity to make a sequel, technology and times have changed, so it would probably be more of a new, evolved property than a direct sequel. As for now, we’re hard at work on Legends 3! Yeah, uh... Telling you guys now, don't put those EXE 7 support plans into overdrive just yet. You might just be disappointed. I personally wouldn't mind either way. I'd take an evolved version of EXE as a "sequel". It seems like the 3rd installment is where developers commonly have a mindset of a finale. Zero 3, although not the conclusion, was supposed to be the climax of the series. Now it's been revealed that BN3 was expected to be the end as well (at least, to Eguchi). On top of that, StarForce has been MIA since 3. I expected more questions to be answered, but still interesting. Ah, Battle Network was so awesome. I miss it. Neat interview. "if we ever do have the opportunity to make a sequel, technology and times have changed, so it would probably be more of a new, evolved property than a direct sequel." Well.. isn't that what Starforce is? Good old, Starforce. The future of the future. Wherein we're still using video tapes (SF2 school AV room).. I'd totally be stoked if they announced a new EXE title. Oh man.